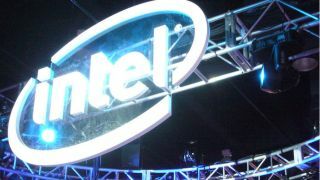 A 32-core (64-thread) monster CPU from Intel, apparently the Skylake ‘Purley’ flagship, is the subject of the latest leak to emerge in the processor world. Details of the chip were spilled via a Geekbench performance benchmark (as spotted by Wccftech.com), and this is allegedly likely to be the Xeon E5 2699 v5. The 32-core CPU managed to produce some breath-taking numbers in Geekbench, with a multi-core score of 49,647, hitting 3,526 when it came to single-core performance. As Wccftech.com notes, that’s probably the highest multi-core benchmark ever achieved on Geekbench (when talking about single socket processors). Apparently the chip is for an upgraded LGA 3647 socket and operates with a base clock of 2.1GHz (although the Geekbench details show it running at 2.3GHz). ‘Purley’ also promises better power efficiency (naturally) and will support 6-channel DDR4 (up from 4-channel). What’s also very interesting here is that Purley was previously said to max out at up to 28-cores, but Intel has reportedly upped the ante in order to match AMD’s Naples processors which offer up to 32-cores. AMD officially unveiled its Naples CPUs a couple of weeks back, offering some very impressive claimed performance levels when compared to the current Xeon E5-2699A v4 (the latter runs to 22-cores). These chips aim to make a big impact in the server market (following the recent release of Ryzen CPUs for desktop PCs). Of course, pricing will be a key point in the battle between these beefy processors, and it’s likely that this particular Intel monster will carry a weighty price tag to say the least.